The recently unveiled federal budget for the 2019 fiscal year is likely not going to meet its target, President, Institute of Chartered Accountants of Nigeria, ICAN, Alhaji Rasaq Jaiyeola has said. Jaiyeola who disclosed this on the sidelines of the inauguration of the maiden edition of the official journal of ICAN, Abuja District Society, on Tuesday night in Abuja, noted that the projections for crude oil price and production as captured in the proposed budget were so ambitious. 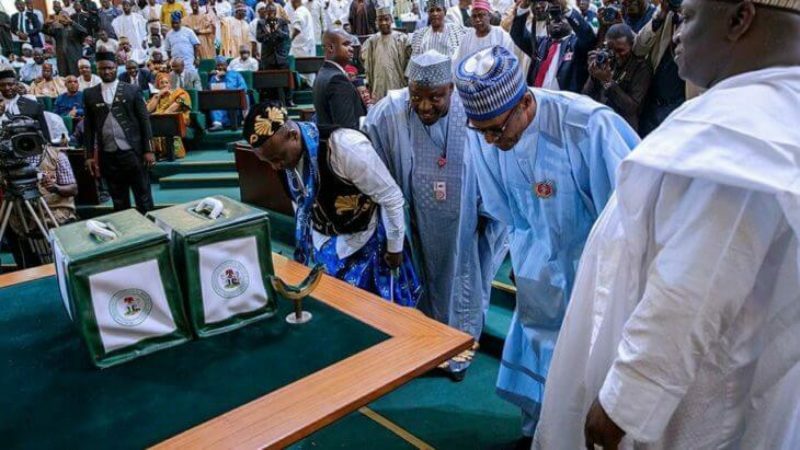 It will be recalled that on December 19, 2018, President Muhammadu Buhari unveiled a federal budget of N8.83tn for the 2019 fiscal year. The 2019 total budget estimate is N300bn lower than the N9.1bn that was implemented for the 2018 fiscal year. The 2019 budget proposal was based on an oil production estimate of 2.3 million barrels per day and an exchange rate of N305 to a dollar, while the real Gross Domestic Product growth rate was put at 3.01 per cent and inflation rate at 9.98 per cent. When asked to comment on the current state of the Nigerian economy at the ICAN event, Jaiyeola replied, “Government has tried to steer the economy aright. We went into a recession and we are now out of it. But the impact of being out of a recession is not really felt by the populace. He said, “For the oil price that was used, I also believe that they (government) have not been too conservative about it. There’s going to be a problem in achieving the price that has been used. On the significance of the newly inaugurated journal, the Chairman, Abuja District Society, ICAN, Oluwafunminiyi Akande, explained that the document would enhance research work in the accounting and non-accounting professions. He said, “As a district, we discovered that there is a gap in the production and dissemination of accounting information to users, which include students, teachers and members. “So, we commissioned the production of the journal to enable people in carrying out research work, because research is not only limited to science. He said the journal was not only meant for accountants, as lawyers, doctors and others contributed to the research findings in the document.